It’s almost Christmas party season, and you’ll have probably spent many an evening already searching for the perfect festive outfit for the night. 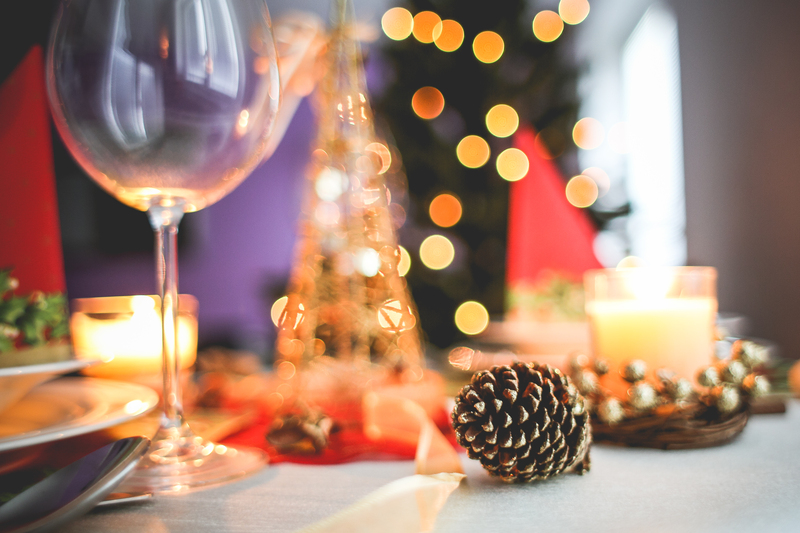 If you were going to organise a Christmas party for your friends and family too, you might have missed the boat on bookings for most hotels, restaurants and venues. However, that doesn’t mean you can’t still have an amazing party at home with these unique and fun ideas. You might have already stowed away the BBQ and even cut out the bbq spare parts, however, barbecues aren’t just for the summertime. In fact, you can have a fun filled party in the garden this winter as you sit around the open fire. True, it might be pretty cold outside, but a warming mug of mulled wine and the open fire will soon defrost everyone’s bones. Wait until it gets dark outside for the full effect and decorate your garden with fairy lights and lanterns. It will feel magical, fun and will be a party for everyone to remember! If you aren’t wanting to go down the traditional winter wonderland route, let out your inner goth and decorate the house with a mixture of Christmas and Halloween décor for a party Jack Skellington would be proud of. For entertainment, decorate Christmas baubles with Halloween glitter and decorations, and make your guests dress up as the characters from the film. Even if you live in a cold country, you won’t always be guaranteed snowfall in time for Christmas; which is why you could turn the house and garden into a festive winter wonderland with a snow machine, plenty of fairy lights and some LED reindeer. Light the way into the house with candles and transform your home into something from the North Pole itself. Love Charlie and the Chocolate Factory and experimenting with food? Search Willy Wonka on Pinterest and you will be gifted with hundreds of fun food recreations to make your home into the ultimate chocolate factory. Don’t hire any oompa lumpas though. If you are a fan of sleuth shows like Sherlock, then scrap the traditional Christmas party idea and host a murder mystery adventure instead. You’ll be able to buy a murder mystery pack online and every member of your party will be given an identity to go by for the big night. Give these out in advance because there will often be dress up tips for each member so that they can really get into the role. The premise is simple: there has been a murder at the party, and one of the guests is the murderer. You’ll have to go through a series of clues and evidence in order to find out the identity of the killer, meanwhile the killer will try to divert the blame onto other members of the party. It could get pretty heated, but you’ll be sure to have a party to remember for months to come.